The Director of Faith Matters, Fiyaz Mughal, writes about the intimidation and inflammatory nature of the actions of Anjem Choudhary and his young coterie of followers, in targeting elected councillors. Anjem Choudhary has finally been brought to justice. One of the most infamous Islamist faces on TV screens across the globe, this Pied Piper of hatred was found to be instrumental in garnering support for Daesh or Islamic State and in pledging allegiance to it in 2014. Yet, Anjem was a regular at major Islamic events and in places like Newham, Tower Hamlets and Haringey to name a few London boroughs. He was not allowed into venues and stood outside surrounded by young boys and men who clearly looked up to him and his tactic was to berate and blame and his targets were not only the US, or UK foreign policy, on many occasions they were Muslim elected councillors. Choudhary knew that by confronting elected members who happened to be Muslim, he could grandstand in front of his young supporters and question the democratic structures of our country. I was one of the elected members in 2009 who whilst doing my Sunday shopping, ended up with about 20 young people around me hurling obscenities and terms such as ‘kafir’ at me for representing local residents in the Noel Park ward in the London Borough of Haringey. It seems that the exercising of my democratic right meant that Choudhary and his supporters thought that I had ‘sold out’ and that I was no longer a Muslim. Such was the toxic mix of poison he pumped into the minds of young men. Over the years, Choudhary had made it a point to visit the London Borough of Haringey and would stand outside local stores in the middle of the High Street. He would make inflammatory comments and speeches and would the justify why democracy, the rule of law and human rights were of no value and meaning to him. All the while as he did this, he would urge his young coterie of followers to ensure that Muslims did not vote since it was not allowed in Islam. Choudhary would rail against these very concepts that make up our society and he would say that only God’s law mattered to him, thereby rendering any legitimate debate invalid and useless with someone who was simply an agitator. Yet, in 2009, as I came out with my shopping, Choudhary made a beeline for me accusing me of apostasy by ‘joining the British system.’ What he meant was that I had exercised my right to play a part in British political life, even though by 2009, I had already served for over 5 years as a councillor in Oxford and the London Borough of Haringey. What followed was abuse, aggressive threats against me and about 20 young Asian Muslim males suggesting that the fire of hell was somewhere where Muslim councillors belonged within. It seemed that Choudhary knew who I was and being a Liberal Democrat Councillor at the time, he quoted some of the positions that I had held within the national party structure. Watching this from a side line were a handful of police officers who thought that the whole scenario would just wash over. Little did they realise that Choudhary was going to go on to become one of the most charismatic of radicalisers that this country had seen, yet that was the problem. In 2009, he was seen by many, as simply a joke and a clown and not a threat. My next encounter with Choudhary came in July 2013 as I sat in Edgware Road in the West End one afternoon. Choudhary, it seems, had visited the Egyptian Embassy and had demonstrated outside it and decided to visit Edgware Road simply to agitate on the back of the Sunni and Shia splits that were engulfing Syria after the Arab Spring. 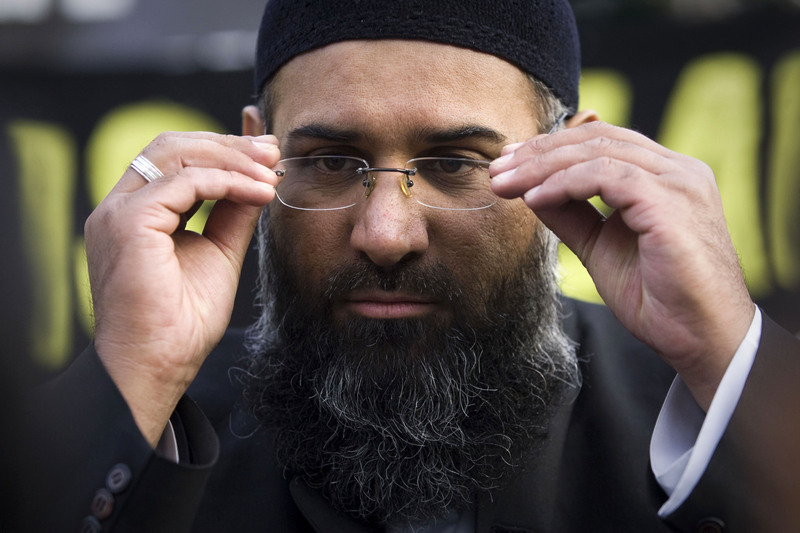 Choudhary knew that the Syrian civil war posed an opportunity for him to recruit more impressionable young Sunni Muslim males here in the UK. With loudspeaker in hand, Choudhary shouted anti-Assad and anti-Shia rhetoric as the young men around him became more and more agitated on the middle of Edgware Road. All the while I watched as his followers kept repeating the anti-Shia slogans. Sadly, within a few minutes of having turned my head away, a young man had been brutally assaulted on the basis that Choudhary’s followers thought that he was Shia. It seems that at the heart of Choudhary’s ideology, was a voracious hatred of Shia and other sects within Islam. In fact, it turned out that there were 2 men who had been assaulted and one was Sunni and the other Shia. They had been walking down Edgware Road and had been identified as Shias by one of Choudhary’s group. The assault on the Shia male led to 10 separate injuries on his head, face and body and when I met up with him a few days later through the intervention of the Al Khoie Centre in Brent, it turned out that the man was married to a Sunni woman. This though, was of no consequence to Choudhary or the young men who followed him and who listened and hung on his every word. For even when the assault was taking place in the heart of the West End, Choudhary was to be found in the melee, having wound up his followers, yet with his hands not directly involved in criminality. This was precisely how he operated. Both of these incidents showed me one thing. That Choudhary was the puppeteer and the man who wound up impressionable young men and then released them onto an unsuspecting public in the UK and the Middle East. This went on for many years and with impunity as police forces admitted that he had broken no laws. Sadly, though, this conviction came too late for many young men who were brainwashed by Choudhary. Many lie in unmarked graves in the Middle East, whilst others languish in our jails. However, the real losers in all of these, have been the families of those who were murdered by the young men that the Pied Piper of Hate had groomed and released like javelins onto the world. That is the true legacy of Anjem Choudhary.